The window cleaning brushes available from Brushtec are made to exceptionally high standards. 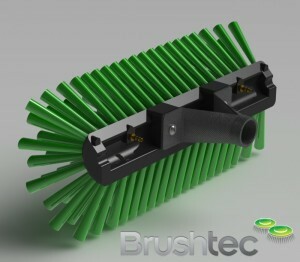 The window brushes are based on a high-quality lath brushes design suitable for the wet cleaning of other large areas as well as windows, such as floors and walls. The injection-moulded polypropylene brush back has undergone extensive design and redesign in order to minimise the brush’s weight. It has achieved the optimum design through the use of structural foam, which is light but retains the brush’s strength and durability. Various options are available, such as: trim options, varying bristle angles across the brush, and water-fed holes. 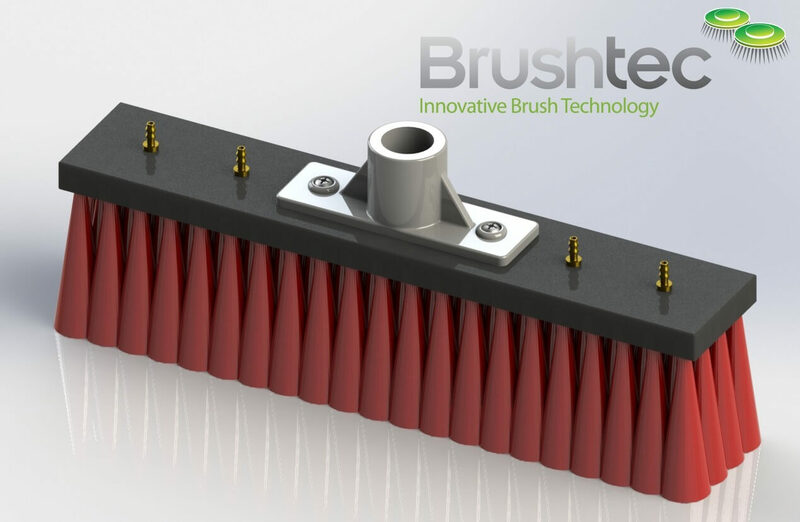 When combined with a lightweight extension pole, as some of our OEM clients have implemented, our lath brushes become particularly suitable for manual window cleaning over an extended period of time. 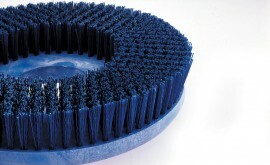 Lath brushes are manufactured using the latest CNC, robotically operated, industrial-brush-making machines. 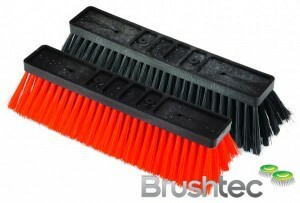 Our highest quality, water-fed lath brushes for window cleaning use Monotec® bristles to ensure a minimum wear rate. The moulded brush backs are made from recycled materials, which ensures that overall, the brush is environmentally sound and pleasant to use. You may also be interested in our squeegees or an original injection-moulded design from our plastic division.